The ICDC, which stands for ice cream, doughnut and coffee. All these magical things are in one perfect sundae from it’s namesake ICDC. 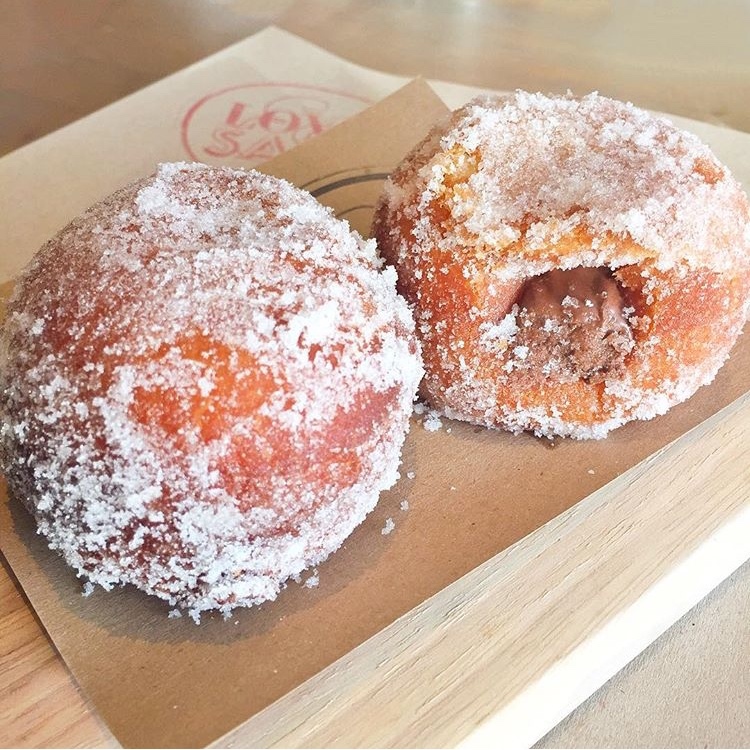 Mariah Swan is a doughnut wizard and has been whipping up sweet fried dough delights at BLD for ages, but this year along with partner Amy Knoll Fraser, opened up a stand-alone ice cream, doughnut and coffee shop next door. Run don’t walk there. The pastries at Love & Salt in Manhattan Beach are so good it is hard to choose just one so I highly suggest ordering them all (seriously). At least that is what I do when I make a visit because choosing between the Italian doughnuts, seasonal sweet toast, loaf cakes and pancakes is just too hard and they are all so damn good. It is worth the drive for the sweet stuff and with the beach just a block away, who can resist making a day out of it. 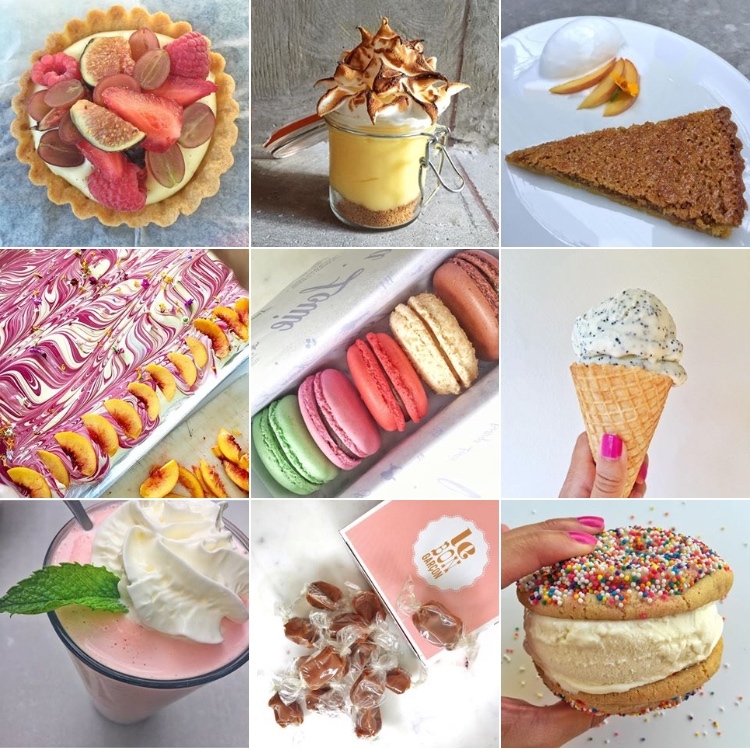 I don’t know if there really is a category for dessert gift in your life, but there should be because the gift of sweets is the best gift of all. 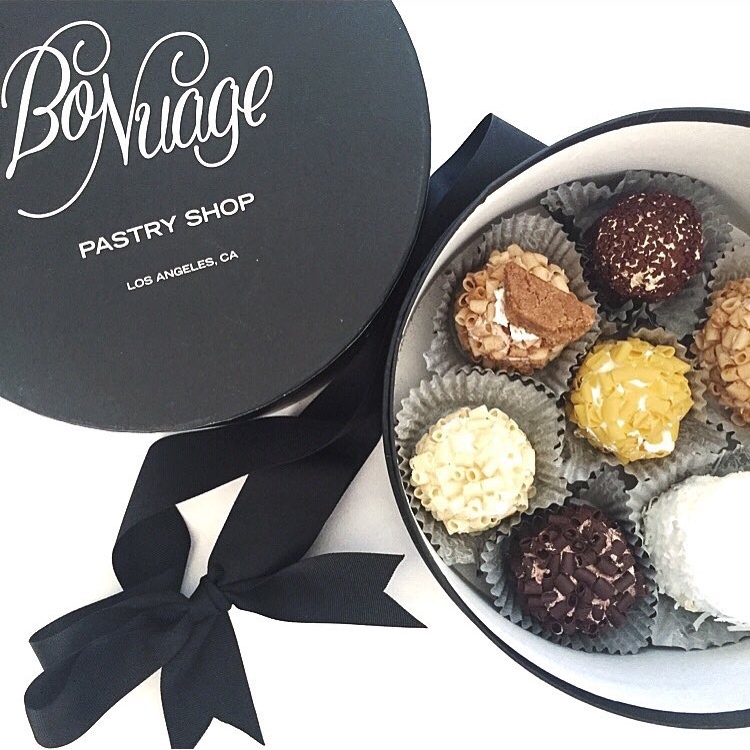 Bo Nuage makes the ultimate dessert gift – their petite Parisian meringue “clouds” are filled with cream and rolled in toppings in a variety of flavors.. I am one for pie and I have my tried and true favorite spots like Clementine or the Village Bakery, but Cassell’s Hamburgers joined the ranks this year. 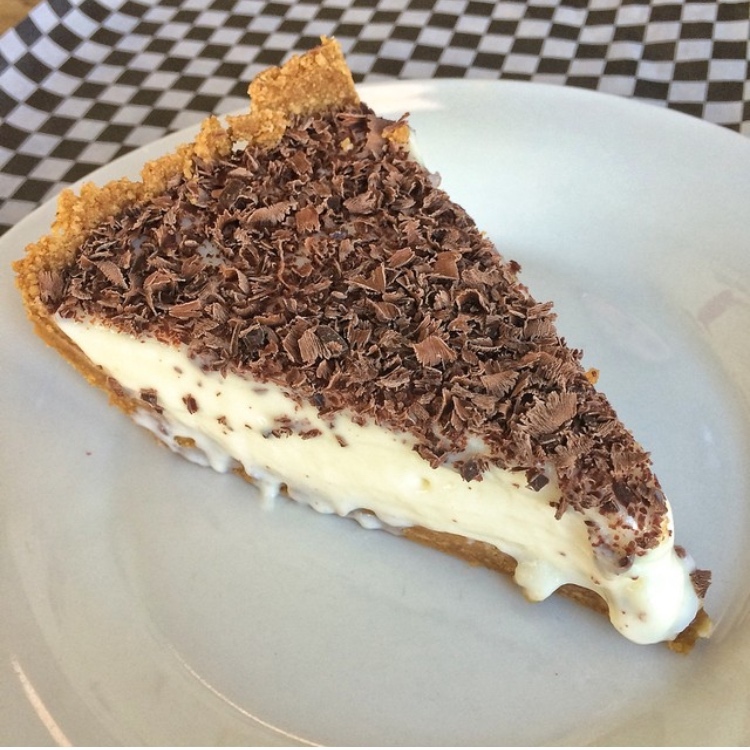 Their dulce de leche pie is one for the books, but it was the lemon custard pie topped with chocolate shavings that made a lasting impression. Passion fruit seemed to follow me around a lot this year, but two desserts in particular are in a tie for my affection. The passion fruit ice box cake at Elysian is simple and exquisite. Sarah Lange is a wonder with pastry and this ice box cake is as good as her to die for biscuits and scones. 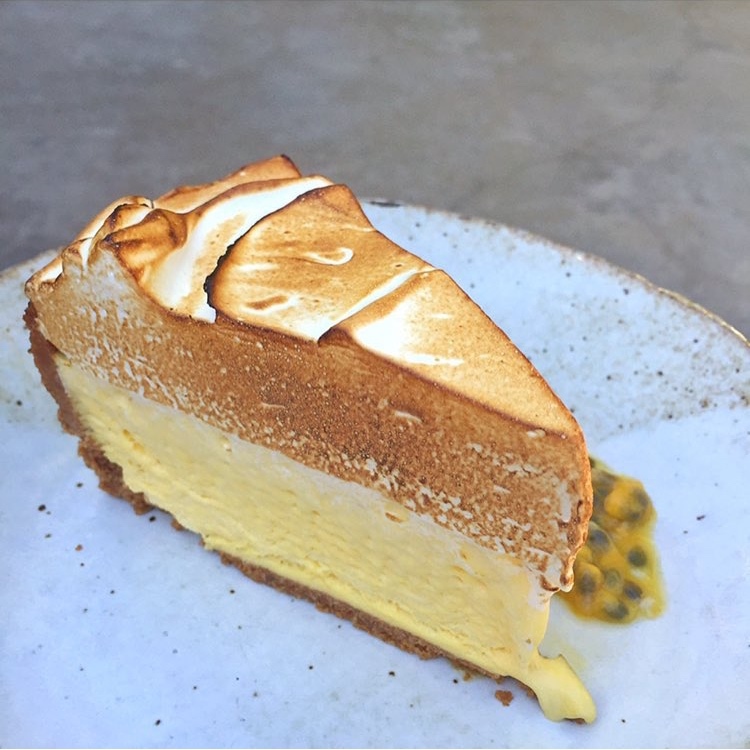 One other passion fruit delight caught my attention this year and from an unassuming spot – recently opened Baroo is not the place you would expect to find great desserts, but their passion fruit tart was tangy, bright and a great end to a brilliant meal. 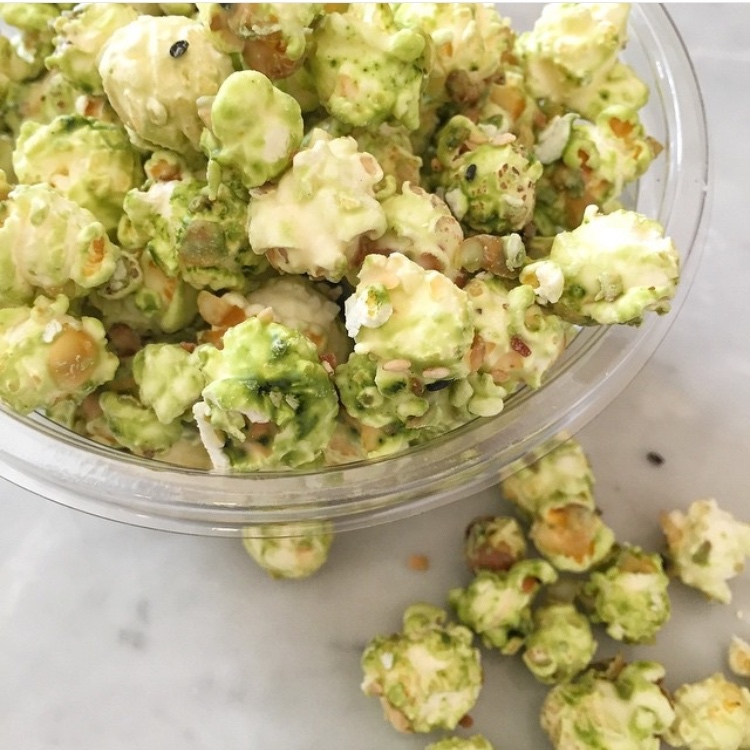 Popcorn is usually something I save for snacking and don’t really view as dessert, but that all changed when I met Coconut Matcha Popcorn from Sweetfin Poke this year. It is nicely coated with a nice balanced sweetness from the coconut and nuttiness from the matcha. The bag hardly lasts a car ride home, it is that good. 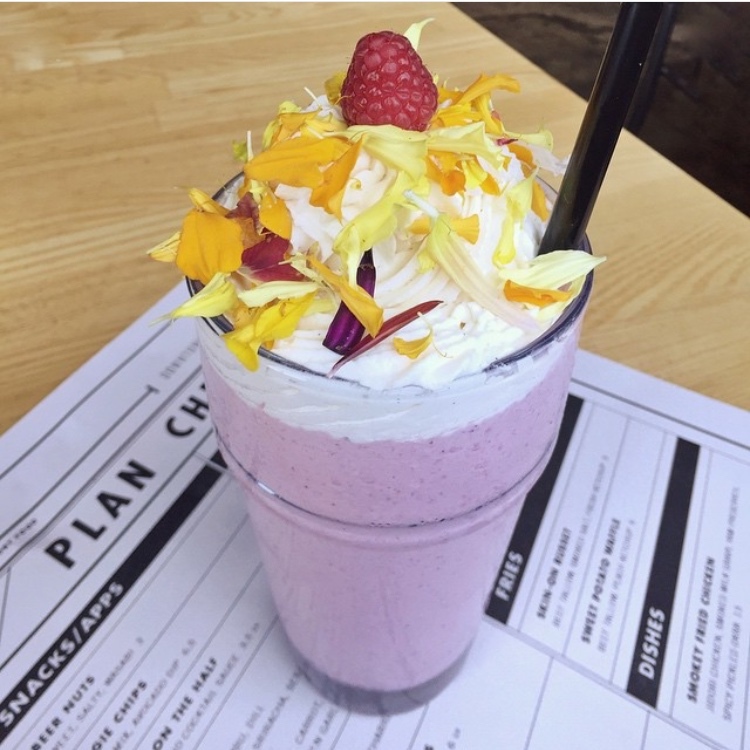 I cannot resist a good milkshake and my favorites generally come from The Oinkster or 101 Coffee Shop, but adding to that go to list is Plan Check. Their milkshakes change seasonally and are always a vibrant combination of flavors that pair perfectly into a tasty shake. 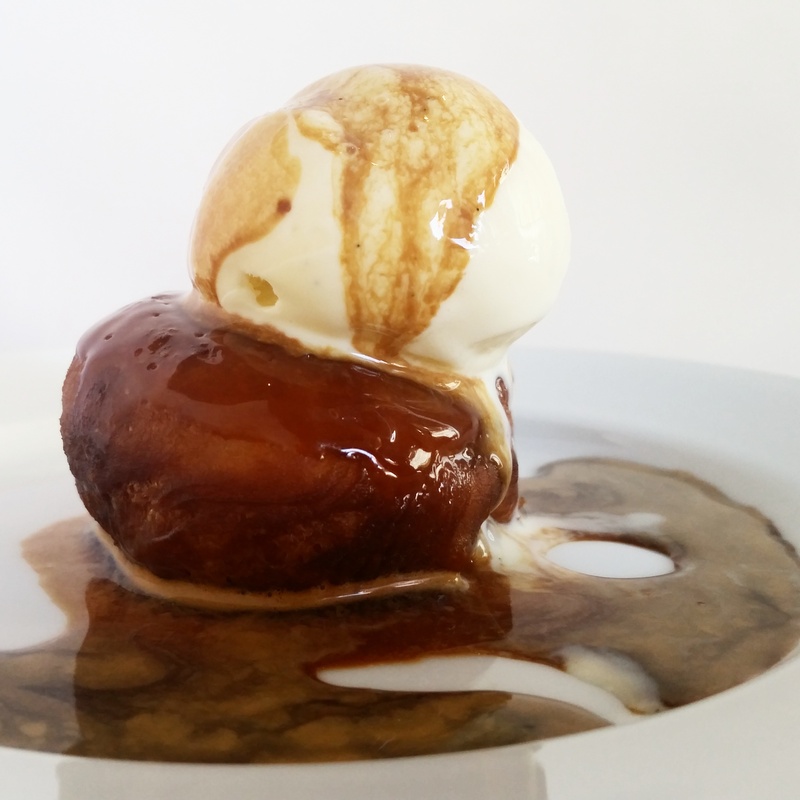 I love a good old-fashioned dessert, but they are hard to come by. 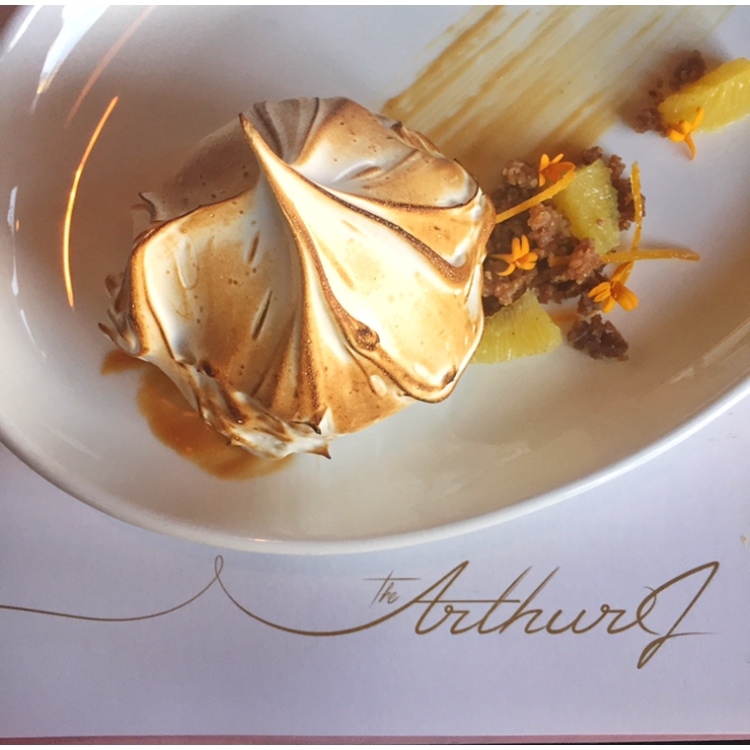 That is until I discovered the Baked Alaska from The Arthur J. It is mod dream come true and completely irresistible. 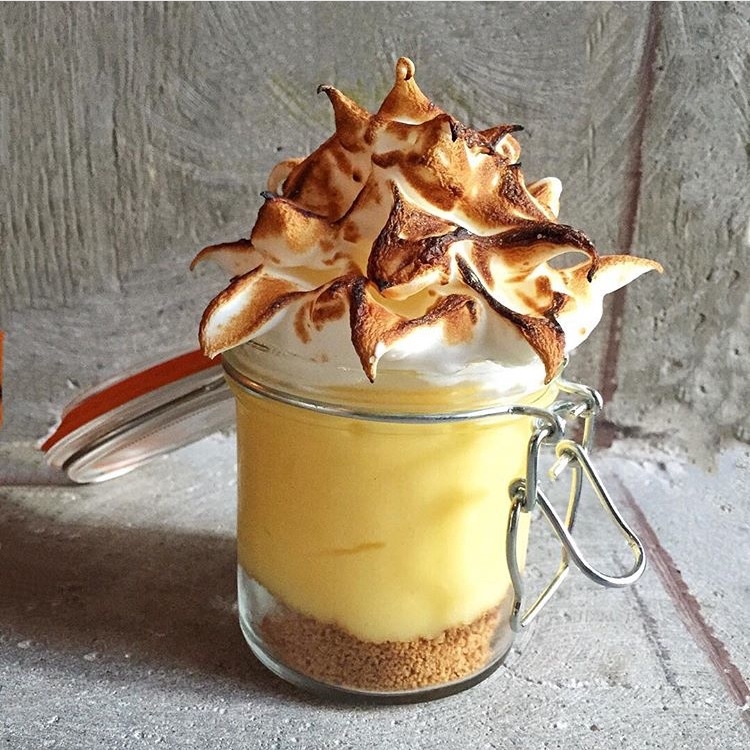 Who wouldn’t want an ice cream cake in an torched meringue igloo!? 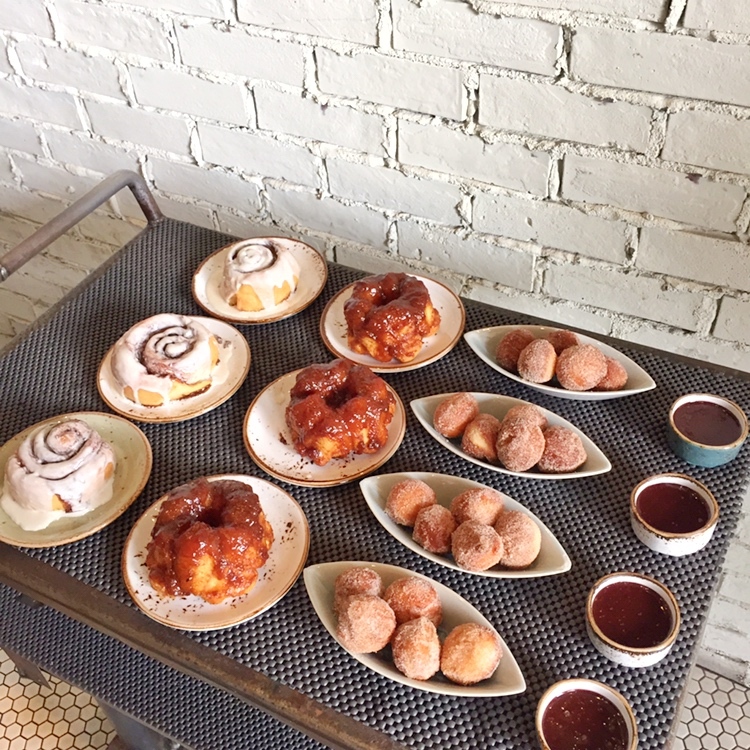 Generally sweets are relegated to a menu of 4-6 options, but at The Church Key they have a cart load literally. A cart is presented to you dim sum style with a selection of sweet treats to choose from. It is a sweet lovers dream come true (cue heart eyes emoji here)!